Over the last few weeks, I have explained how Online Travel Agencies (OTAs) have applied this business model onto the $1.3 trillion travel industry. There are many different niches within this industry that platform businesses have captured. But none is as visible as Booking.com that I have shown the business model canvas for in my last article. They are the single biggest company in the travel industry. You might think that Expedia is very similar. But actually, they are considerably different to Booking.com. And both are fascinating companies. 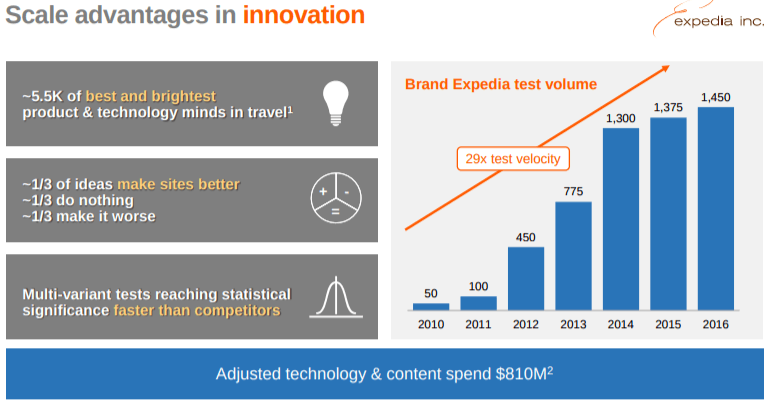 Learn the about Expedia’s big picture and all the important details now and fuel up on important innovation knowledge. The Business Model Canvas consists of the 9 categories you see below. Broadly speaking, the left-hand side is the supply side from the business’ perspective and the right-hand side is the customer side. 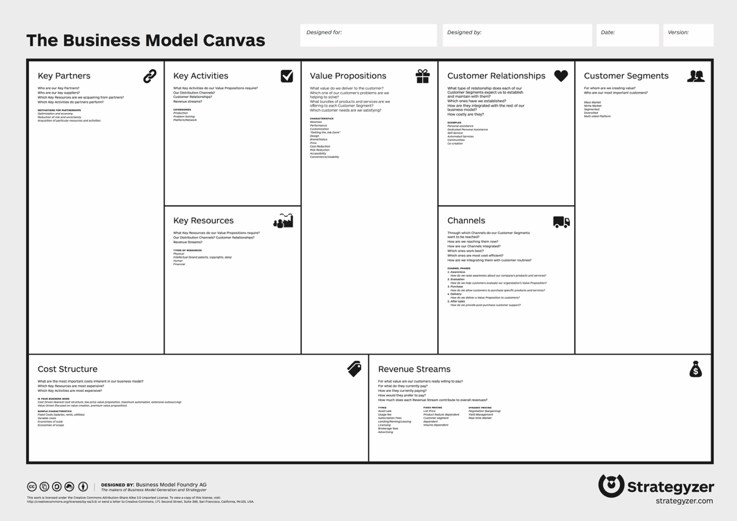 The Business Model Canvas as devised by Alex Osterwalder. Whenever there are overlaps with my Booking.com article, I have opted not to repeat myself in this article. I recommend also check out the Booking.com article if you haven’t read it yet (once you are finished with this one). Platform businesses have two or more customers that they need to provide value to. 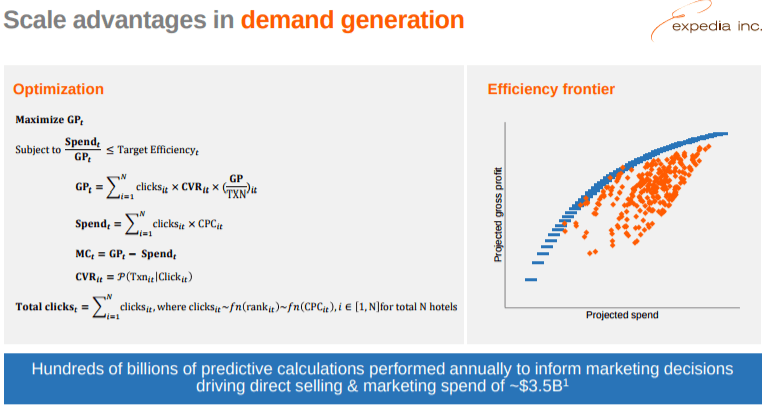 In the case of OTAs, these are the travellers (as the demand-side) and the travel service providers, hotels, etc (as the supply-side). Here is in Expedia’s own words the value proposition to both sides and the indirect network effects that bringing both sides together in a value-adding way provides. Within the demand and supply-side you can then further distinguish into various categories. Note, that Expedia also has an affiliate program whereby brick-and-mortar travel agencies can access Expedia’s inventory and tools. This is the third side of their platform business model and I am elaborating briefly on this below. 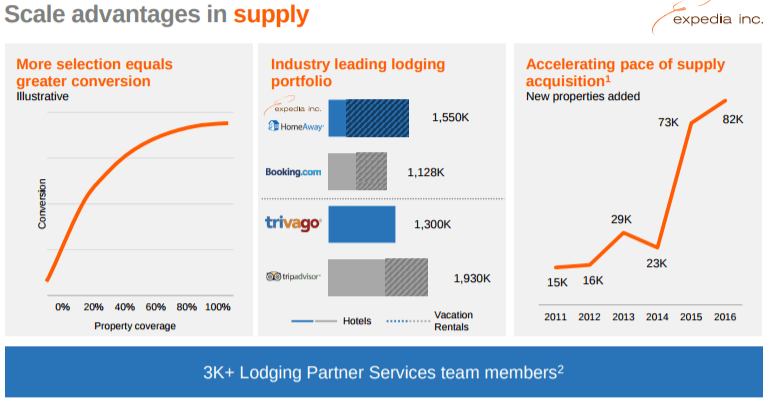 ** Note that, unlike Booking.com, Expedia buys as a wholesaler with long lead times but – depending on the contract – can return unsold rooms back to the hotels very close to the date (often 24 hours). This is transferring risk back to the owner. One of the most important characteristics of network business models is that they provide more value as they grow (non-network business models can achieve lower unit costs, thus prices, as they grow but do not provide more value per se). As platform businesses grow they can leverage traditional scale effects (both on the supply as well as the demand side). One of the most important outcomes of large supply-side scale are higher conversion rates (due to – among other things – a larger amount of choice). Higher conversion rates in return allow Expedia to bid higher on general search engines on the paid ads slots. They can in particular rank higher than hotels. This leads to higher click-through rates (CTR). All up, it improves Expedia’s return on investment on their advertisement spending and this is , as you will see in their cost structure, their single biggest cost element. The virtuous cycle closes with all of the above – i.e. 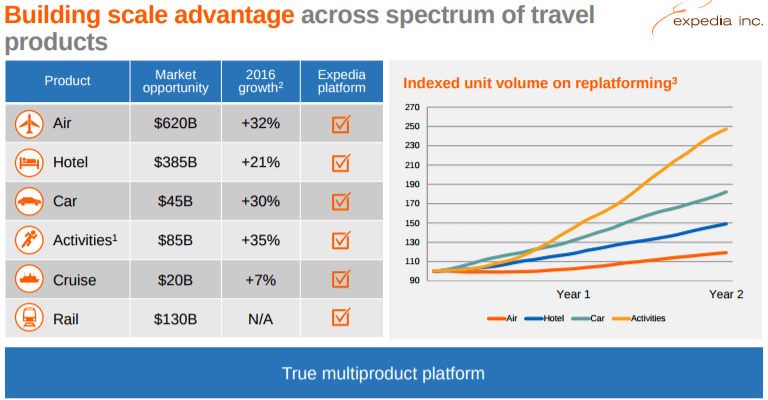 higher conversion rates – making Expedia more attractive to other supply-side actors (from the same and complementary categories). The biggest difference between traditional business model and the platform business model are indirect network effects. Key activities have to aim to enhance these. The master resource of platform businesses are its network effects. All key resources contribute to them. I have provided a detailed overview of a traditional macro customer segments last time. Today, let’s look at something more exciting. “Expedia is sitting on a treasure trove of data, with 7 billion flights searched via the site last year and 40 million unique visitors per month globally. These kind of tests only work at scale. They inform where to put your advertising dollars and achieve better conversion rates playing an important part in the virtous cycle that I have mentioned above. I have elaborated on the relationships between hotels and online travel agencies in depth. It is that of a love-hate relationship. This is particularly true for the major hotel chains. Hotels promote their loyalty programs heavily. They try to use this to achieve higher levels of direct bookings avoiding to pay commissions to the OTAs. Loyalty benefits, such as free amenities (e.g. room WiFi) are often only available through the loyalty programs. 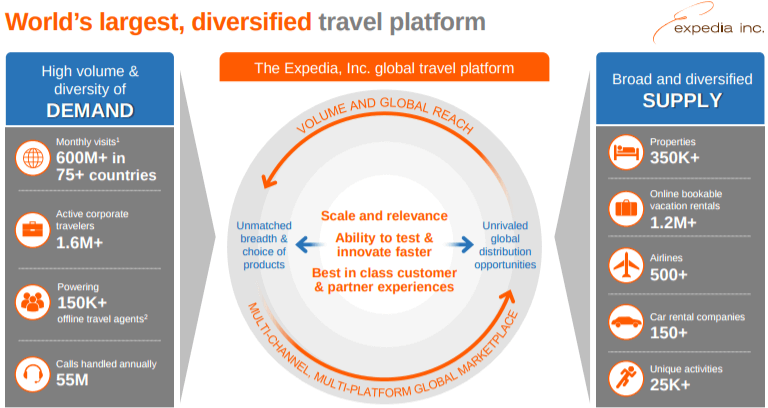 But Expedia is running its own loyalty programs which are some of the biggest programs themselves. Their subsidiaries Hotels.com and Orbitz have very popular loyalty programs in their own right. And it doesn’t end there. Expedia and Red Lion Hotel are trialling a collaboration on their loyalty proposition. 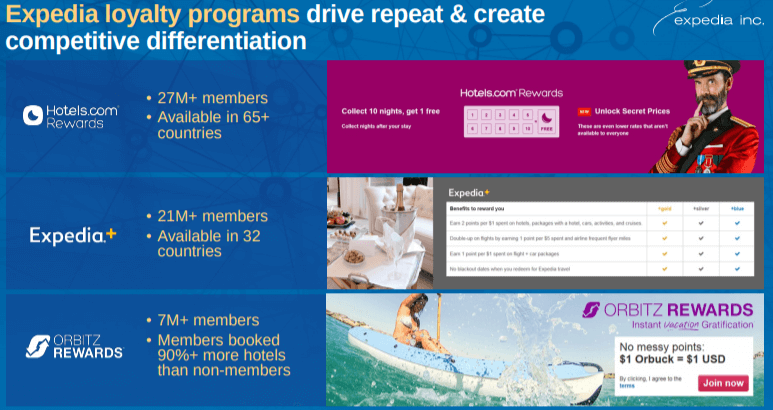 Red Lion gives Expedia access to their loyalty deals and in return Expedia shares more information with Red Lion (most notably the customer’s email address). Expedia are looking into expanding this with other hotels. The best source for Expedia’s cost structure is their latest annual report (pdf) (FY16). Let’s start with the operational expenses (annual report, page 49-). You will see a familiar picture. 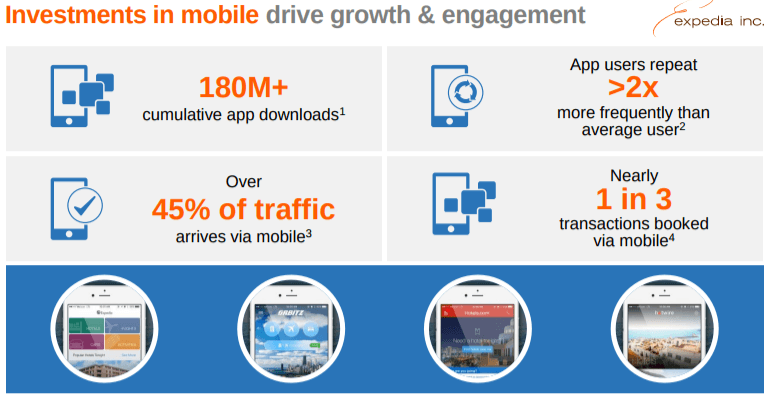 As is the case for Booking.com, performance advertising is by far the largest expense. Lets now have a quick look at some of their capitalised costs and relevant assets from the balance sheet. Page F-25 shows capitalised software development costs of $1.6b which is significantly higher than Priceline. And while we are on the topic of acquisitions, let’s have a look at Expedia’s recent acquisition history (only the largest recent acquisitions listed). It is a very valid way of growing (and of course to maintain dominance in the market). 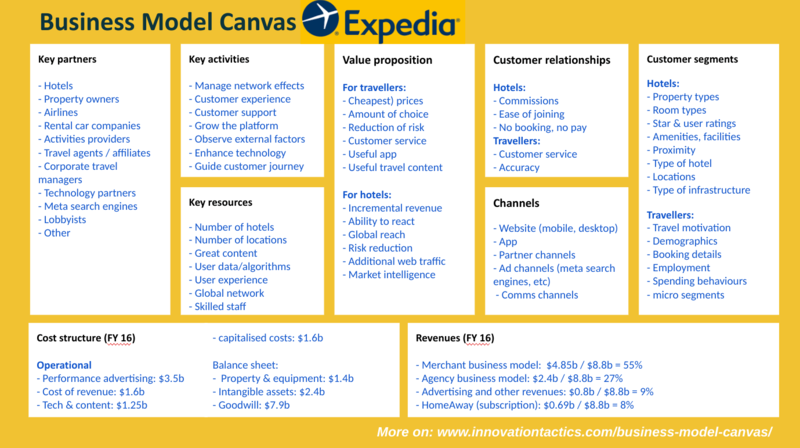 And here is finally the summary Business Model Canvas for Expedia. Download here as PowerPoint file: Expedia Business Model Canvas [pptx] and/or as pdf: Expedia Business Model Canvas [pdf] and give us a like in return.